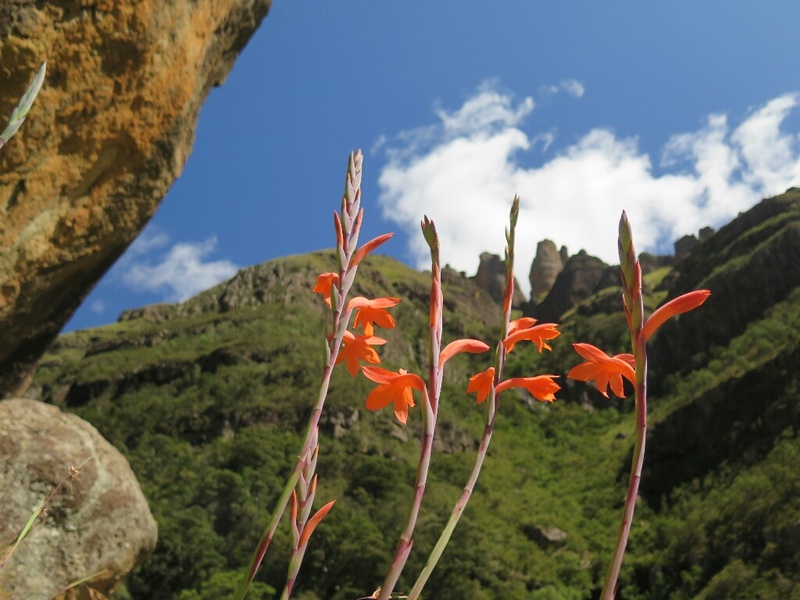 The Natal Drakensberg and the Eastern Highlands of Lesotho are the most beautiful place I know. 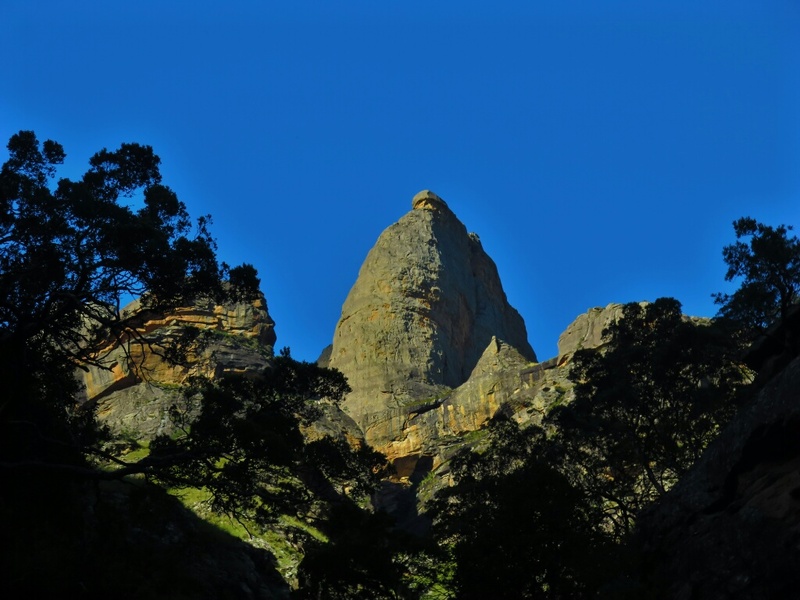 I have travelled fairly extensively and hiked in mountains such as the Himalayas, the Alps, Mt Kenya, Mt Kilmanjaro, New Zealand, and the mountains of the Western Cape. 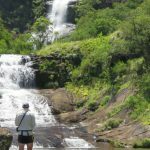 Maybe I’m a bit biassed about what’s right on my doorstep but there’s no where I would rather be than hiking around in or on the Drakensberg with a fly rod and rucksack. I was very privileged to grow up spending many holidays with my grandmother. She used to be the gardener for Drakensberg Garden’s Hotel, and then for Castleburn Resort. My sister and I had complete free range of the surrounding mountains and valleys. By the age of 10 I was heading up rivers alone all day. My poor grandmother must have worried about this tiny little chap who would disappear into the foothills of the Drakensberg with a fishing rod and a container filled with cotton wool in which to put any new birds egg that I found. Collecting birds eggs was the only thing that rivalled fishing while I was growing up. I thought that I had explored all the worth while streams until a few years back I was pouring over a computer and “Google Earth Fishing” in the Southern Berg. 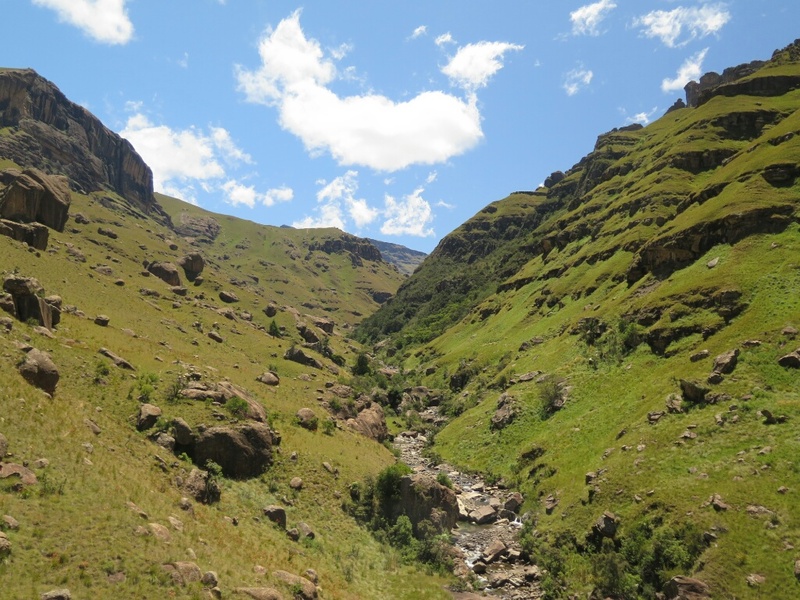 I discovered that the headwaters of one particular tributary of the Mzimkhulu River looked very promising. Often these rivers have a lot more holding water higher up and it’s well worth exploring them to where they become too small to hold fish. I had no idea if there were any trout this high up the valley, but on our walk up I was encouraged by the fact that I saw no major waterfalls that could prevent trout migrating upstream. The Watsonias almost in full flower. The weather was perfect so I had taken a chance and left the tent at home. I usually sleep under the stars weather permitting. I always spend a lot of time choosing a camp site and I think I got this camp spot on. The most exciting aspect of fishing for me is undoubtedly the anticipation of finding fish where you never knew they existed before. This is what drives me to fish these remote rivers. I had the best part of a day to explore the gorge. Its always a juggle between fishing and exploring. 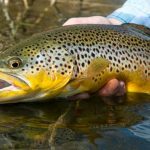 My urge to explore usually comes out on top, and so I end up compromising my fishing for the sake of exploring more of the river. My first fly I tied on was a #18 Para-Rab. 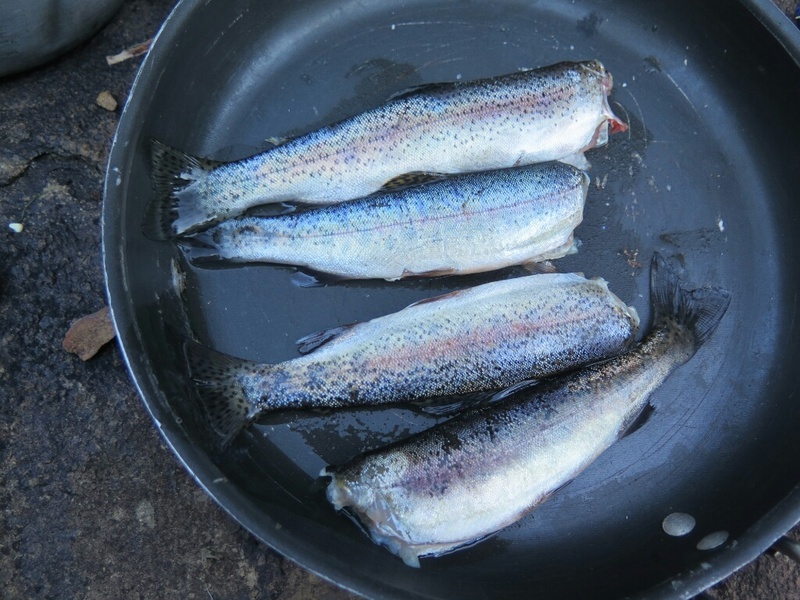 It was immediately gobbled on the first cast by a beautifully spotted rainbow of about 8″. I was ecstatic! Ken, who was watching me from his hammock must have thought I was crazy with all my celebrations after this tiny fish of 8″. After fishing a few more runs and catching several fish of the same size and some smaller too, I thought stuff it and I put on a #14 Para-Rab. I wanted to avoid the nuisance of all the 3 to 4 inch fish having a go at my fly. The result was far fewer genuine takes but I caught just as many of the bigger fish. The small fish would splash next to the fly or bump it and the bigger fish took it properly. The last fish I caught where the stream got too small to fish, or so I thought. 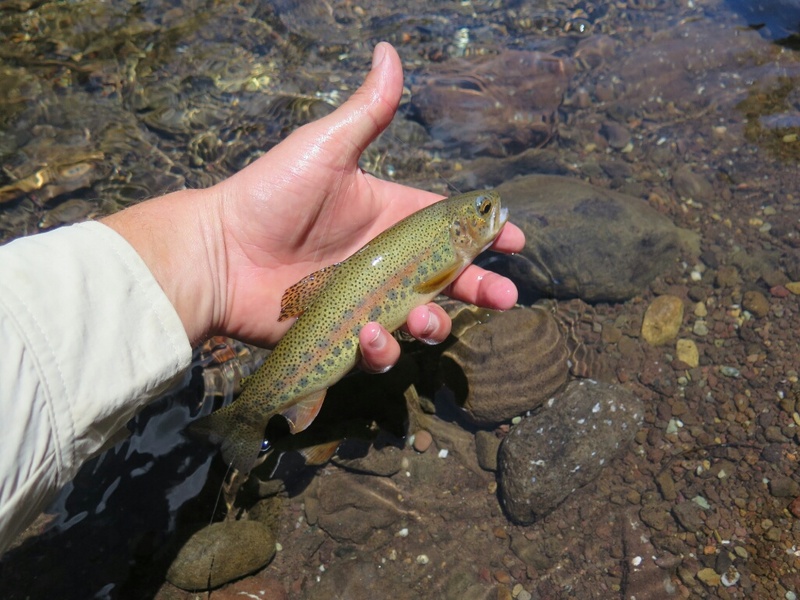 The upper reaches of the Gawula river opens up a bit, and the fishing just seemed to get better and better. I fished upstream for a few km until the river split. I caught one fish in each fork of the stream just to say I had been there and done that, but the water now looked pretty thin indeed, so I turned around and ran back down to camp. I have subsequently realized that there is even more water higher up that needs to be explored. 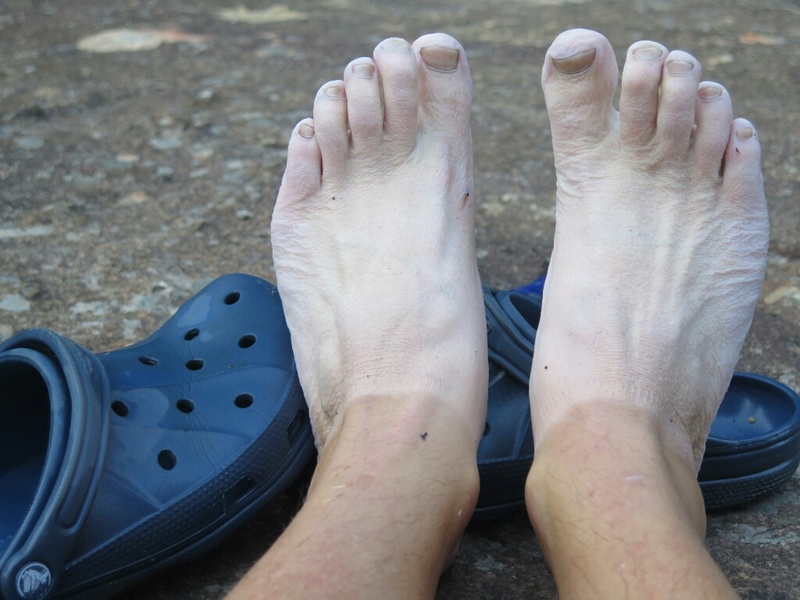 My feet after a days wading and running up a river in crocs and socks. The lower section of the gorge looked better for big fish than higher up with a lot more big pools and deeper pockets. The upper reaches with smaller pockets and less holding water actually seemed to have more decent sized fish and less of the really tiny little tiddlers. Maybe with the lower fish population there was more food per fish and so they were a bit bigger? About half way back up the valley I decided to change from a Para-Rab to a new creation of mine which is sort of a combination between a Para-Rab and a Red arsed DDD. It was also tied on a #14 hook. So its a big juicy meal of a fly. The change was incredible! Suddenly where I was catching a fish out of every pocket, I was catching several. Instead of taking the fly only once, the fish kept coming back again and again. The way they took the fly definitely suggested they thought it was something very different. As soon as the Para-Daddy hit the water the fish were leaping clean out the water to take it, compared to a normal splashy rise to the Para-Rab. 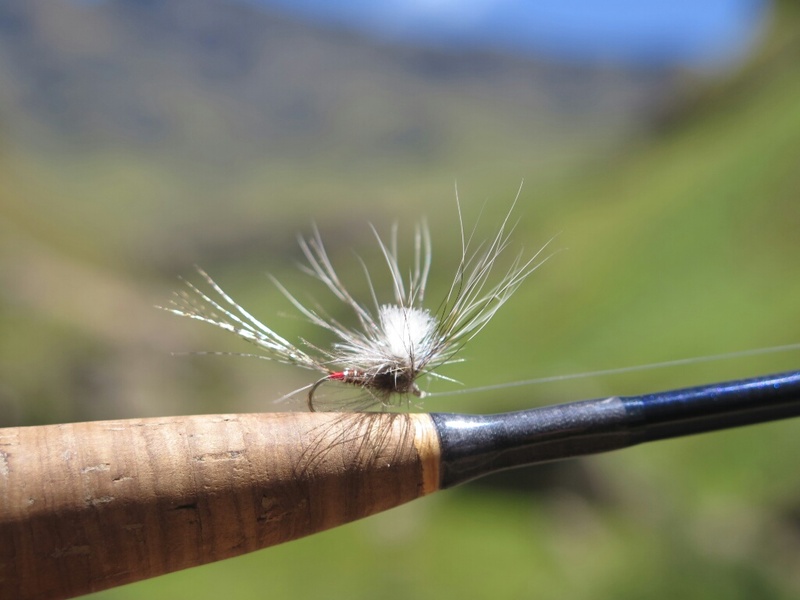 The bulkier fly with a deerhair body floated better than the normal Para-Rab, and they seemed to like it best floating high. To keep it floating high I used a bit of floatant only on the halo hackle fibres, the tail and the post. I didn’t want to interfere with the CDC under the head. I always like to keep a few for the pan, especially when fishing overpopulated rivers that receive little if any angling pressure. 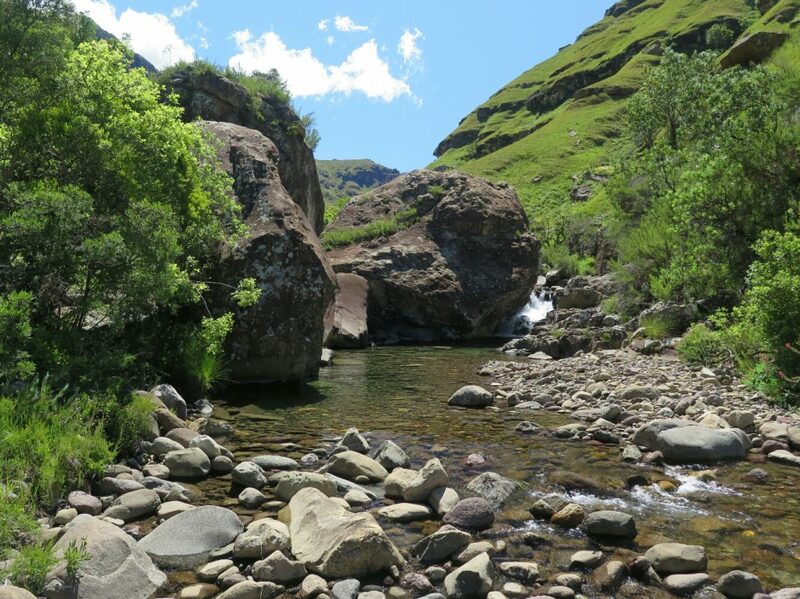 The following day we stopped for a few hours to fish another tributary of the Mzimkhulu, the Sandleni River. I didn’t have a chance to explore too high up the valley, but what I did fish was very thin water with very few fish. I have no doubt that higher up in the gorge that the fishing will improve, but you have to leave something to explore for next time. 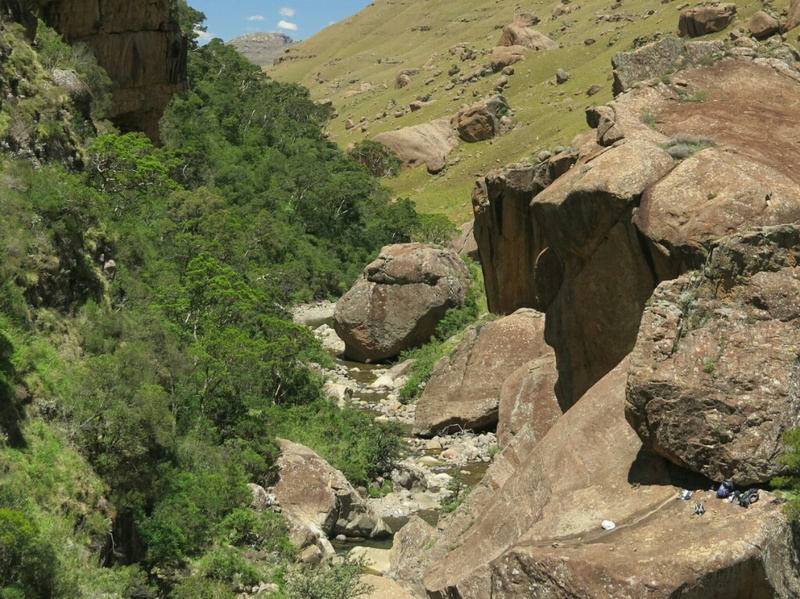 Sandleni River just above its confluence with the Mzimkhulu River.